WordPress is easy to install. Customization is easy to do. If your requirement is small to medium sized website then you should develop a website in WordPress Content Management System. WordPress is easy to install. Customization is easy to do. If your requirement is small to medium sized website then you should develop a website in WordPress Content Management System . We provide Custom WordPress Development Services for our client. Rosix Technology offers an experienced service related to WordPress Web Development. 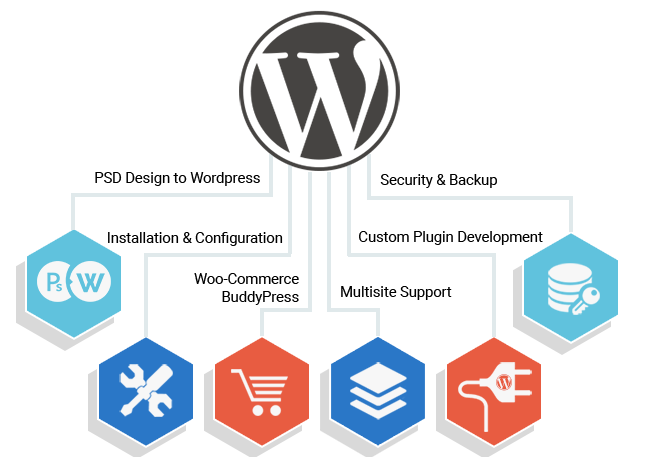 Our expert of WordPress can do complex Web Application Development based on WordPress. Rosix Technology has proven track record for the WordPress Web Development and WordPress Theme Development Services. We have developed sites of all complexity and magnitude right from startups to complex responsive multi-site installations for big companies. You can rely on us as your one-stop WordPress service provider for all your development needs. Our team of WordPress developers provides a wide range of solutions at affordable rates. Free communication through Chat, Mail, Skype, Call and other communication channels.